If the Christmas money is still in your pocket and you love Adidas, you might want to get yourself a reissue of the Adidas Bermuda trainers. They landed today if you want a pair, a reissue of a 1970s minor classic and offered in either a blue or a grey colour variation, each with tonal stripes and heel. 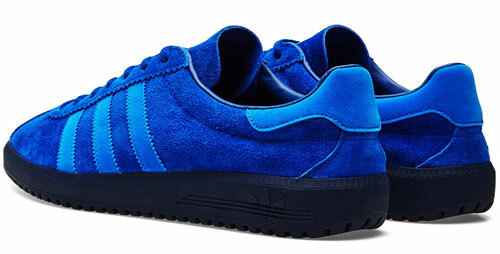 They also have a full suede upper with leather three-stripe overlays and a tonal rubber sole unit. All the sizes, with each retailing for £75 and likely to sell through pretty quickly.